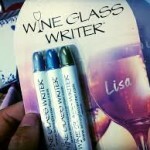 Blog Post POPSUGAR Must Have - One of Our Favorite Gifts (to Ourselves)! POPSUGAR Must Have - One of Our Favorite Gifts (to Ourselves)! 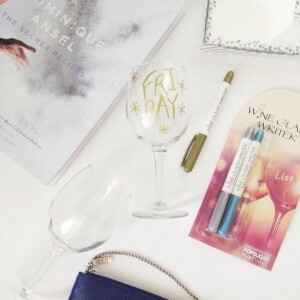 Our Wine Glass Writer Business of the Week is POPSUGAR Must Have, a monthly-delivery subscription of fabulous must-have products curated by Lisa Sugar, Editor in Chief of POPSUGAR. POPSUGAR is a global women's lifestyle brand that connects women with new products, entertainment, and experiences. POPSUGAR in-house editorial staff delivers up-to-the-minute news and is a go-to destination for the best tips and hottest trends in entertainment, celebrity, fashion, beauty, shopping, fitness, food, and parenting…and more. Lisa and her team are constantly on the hunt for exciting new products to share with their Must Have subscribers. The team puts together a fantastic assortment of fun products from the worlds of fashion, beauty, fitness, home entertainment, food and much more in a surprise box that shows up on your doorstep every month. For us, finding POPSUGAR Must Have was a “why didn’t we think of that?” moment. What a fabulous concept! Past surprise boxes have included some of our favorite well-known brands such as Rachel Zoe, Missoni, Michael Stars, Neiman Marcus, Stila…to name a few. 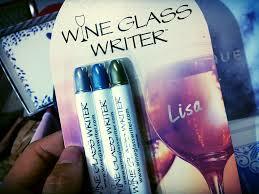 And we were elated when Wine Glass Writer was included in POPSUGAR’s November 2014 box! Must Have boxes would make the perfect gift from you to... (wait for it...) YOU each month (our favorite kind of gift!) or a wonderful surprise for someone special. 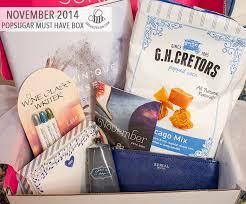 What spectacular trend-of-the-moment surprises does PopSugar Must Have have in store for you? Be sure to subscribe in time to receive this month’s box to find out! You won't believe the fantastic products that will arrive in your mailbox each month.